There’s a lot to be said for low-key aesthetics. 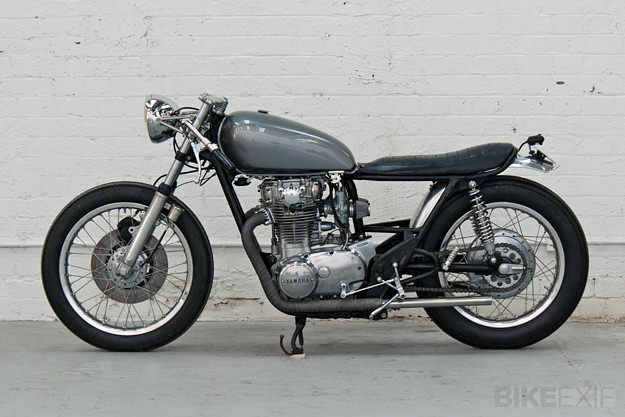 And this back-to-basics Yamaha XS650 is as subtle as they come. 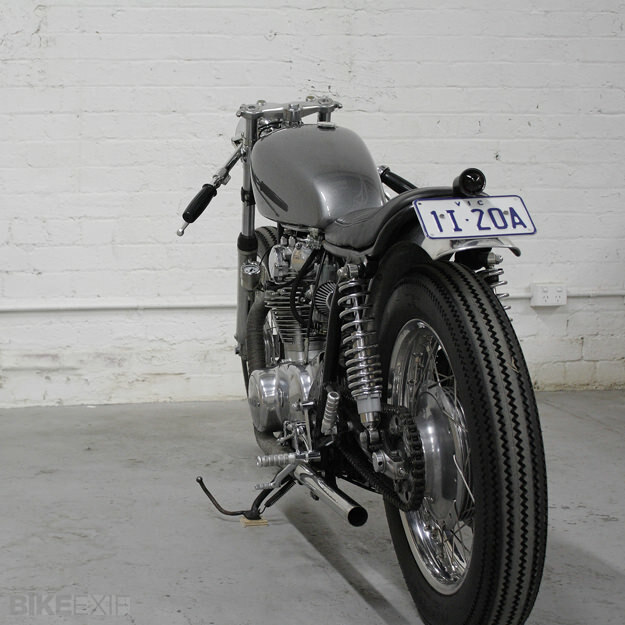 It’s the fifth build from the Modern Motor Cycle Company, based in Melbourne, Australia. 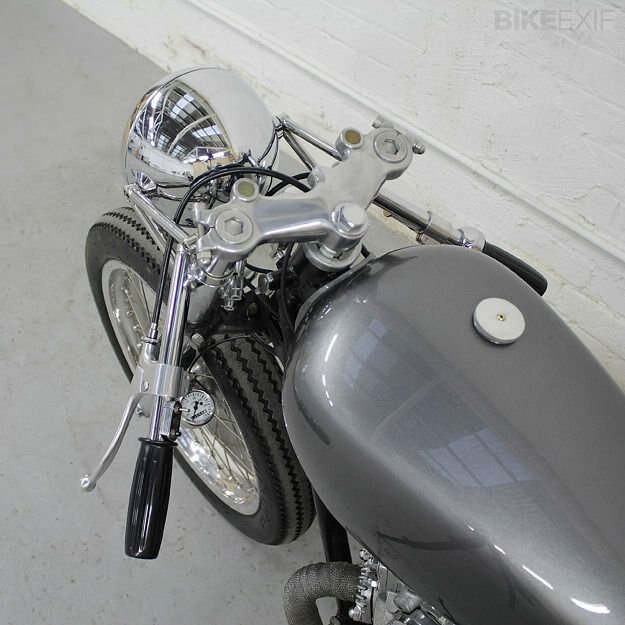 Owner Andrew Cook wanted a custom that was simple and clean, and he’s just taken delivery of the result. Fighting words, but with more than a grain of truth. 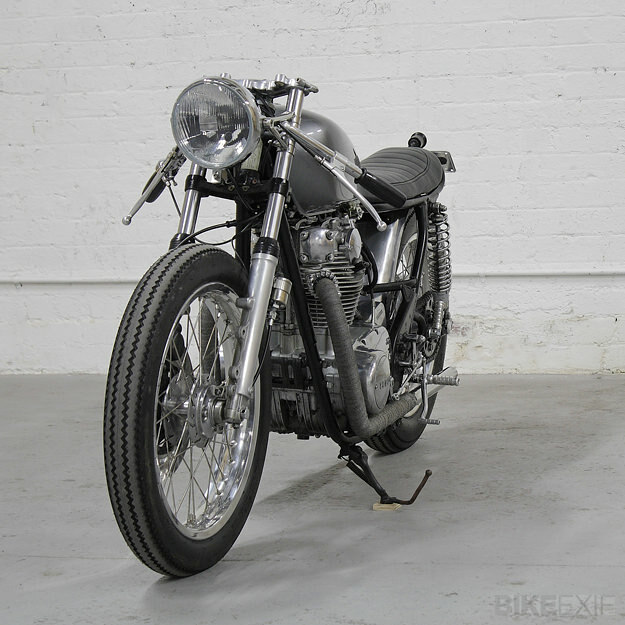 Condo has kept this mid-70s XS650 as clean as possible: he’s fitted it with the more graceful tank from a later XS650 Special model and a custom-fabricated black leather seat. 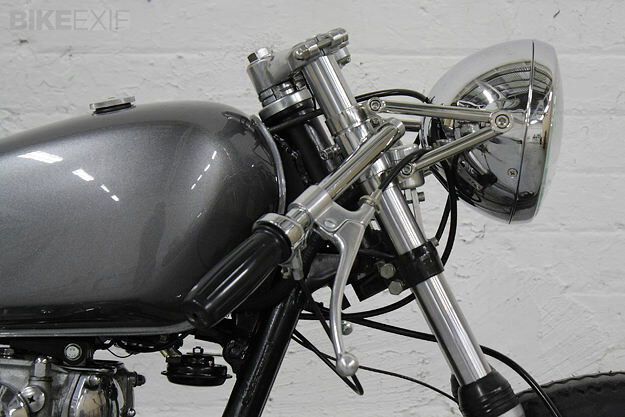 After a few shakedown rides, owner Andrew Cook is mighty pleased with the result: “Christian is a true artist and he’s done a remarkable job.” Keep an eye on future builds from the Modern Motor Cycle Company here.